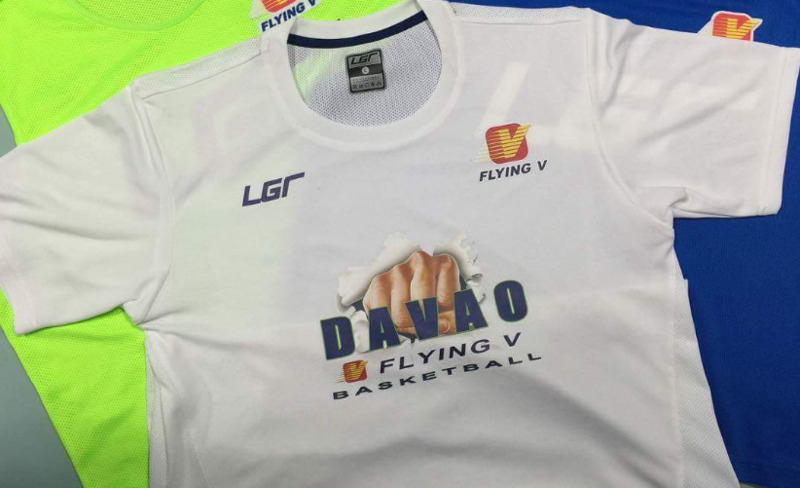 Merchandise readied for the CWBL campaign of the Flying V-backed Davao Eagles. IN an unfortunate turn of events, the long-awaited Countrywide Basketball League (CWBL) has folded even before it has started. After postponing its launch a number of times since the last quarter of 2014, CWBL vice president for operations Joe Lipa confirmed on Saturday that the opening of the regional league will no longer push through as scheduled on August 7. The legendary former national coach bared organizers were forced to cancel the launch after their television partner, ABS-CBN, backed out at the last minute despite the existence of memorandum of agreement. “Wala they backed out. I already informed the owners about it and they are very saddened,” said Lipa. “Hindi ko rin alam why they suddenly backed out, may MOA na 'yun eh. They even hosted a press conference a few days ago pero now they said hindi na raw sila tutuloy,” he added. Lipa also stressed that from the stat, they were in constant communication with the officials of the giant network, which was also behind the popular but short-lived Metropolitan Basketball Association (MBA). “We had no sense of foreboding or even an inkling of this unfortunate turn of events as in fact as late as Thursday, the teams were still in communication with ABS-CBN staff on pertinent information on the participating teams,” said Lipa. Lipa said ABS-CBN cited 'financial reasons' for its decision to pull out. “They cited alleged financial reasons, that’s all. But how come only now?” he said. Until the cancellation, six teams have already confirmed participation in the league's inaugural three-conference season, namely Land Masters (Cebu), M. Lhuillier- Cebu, Manny Pacquiao-Gen San, Flying V. Davao, Anak ng Laguna and Mighty Sports-Bulacan. Some of the teams have already produced merchandise for their ballclubs and signed players to contracts. Among the team owners left disappointed by the development was Flying V’s Raffy Villavicencio, whose staff has even created an official Facebook page for the team. “Kami, we were in the process on forming the team pa lang, kaya unfortunately si coach Aric (Del Rosario) nagkaroon na siya ng lineup and we have readied the contracts, tapos hindi matutuloy for some reason,” said Villavicencio. “Sa amin kasi, yung coaches and the players, they have been practicing and spent time together already, we have no other choice but to compensate that,” he added. So as not the put to waste the efforts of his whole team, Villavicencio revealed that they are now studying options as to where they can compete with the nucleus of their lineup. “Nahihiya ako kay coach Aric, kasi andyan na eh, so I told them why don’t they explore the possibility of joining D-League, PCBL pwede rin, basta depende. Naawa rin ako sa mga players kasi excited na sila at umaasa then hindi matutuloy,” he said. Even Mighty Sports president Dr. John Sy did not hide his frustrations over the cancellation of the CWBL, which has been eagerly anticipated especially by basketball fans in the provinces. “Disappointed. We were excited pa naman,” said Sy, who will also support the Philippine men’s basketball team competing in the coming Jones Cup in Taiwan. Asked about the possibility of a tie-up with government station PTV-4 , which is being developed and improved by the administration of President Rody Duterte, or another television coveror, Lipa said it was an option.